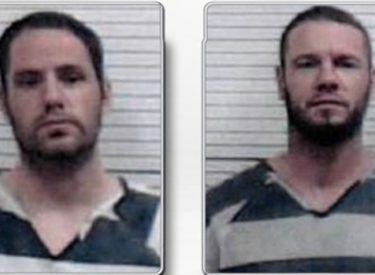 Two escaped inmates out of Major County are believed to have stolen another vehicle, after authorities say they found the Inmate Services van. According to authorities, two inmates, Andrew Jason Foy and Darren Walp overtook two transport officers and stole a transport van near Hwy 412 in Orienta, Major County at approximately 3:25 a.m. Tuesday. Around 9:30 a.m., Investigators had recovered the van near the town of Ringwood, Oklahoma. After investigating the transport van, authorities discovered a discarded police belt with the handgun missing from the pistol,. leading them to believe the inmates are now armed and dangerous. The inmate transport company was headed to Oklahoma, Colorado, Wyoming and Kansas to pick up inmates. The van was currently en route to a correctional facility in Kansas. After ditching the van, authorities say the inmates stole a maroon 2006 Dodge Ram from an oilfield service yard. That vehicle had Oklahoma license plate number DEL244. Authorities are unsure where the inmates are headed. Andrew Foy is a white male, blue eyes, approximately 6′ tall, 210 lbs., with a medium build. He has a tattoo arm band on his upper right arm and his final destination was supposed to be Laramie County Sheriff’s Department in Wyoming. Darren Walp is described as a 37 year old white male from Liberal Kansas, with a medium build. His final destination was supposed to be Seward County Sheriff’s Department in Kansas. Any information or tips can be directed to the Major County Sheriff’s Office at (580) 227-4471.